Swedish watch brand Kronaby has teamed up with Barclays' bPay in order to bring contactless payments smarts to a new set of straps. The startup, which recently launched a slew of new hybrid smartwatches to its Apex, Nord and Sekel collections, will now allow any Kronaby owners to add additional smarts to their device by picking up one of the bPay bands. By doing so, users will be able to use the watch to make purchases of up to £30 at locations with NFC terminals across the globe. And for those in the UK, Kronaby will also be offering the £79 straps - coming in brown leather at 18mm, 20mm and 22mm - for free with the purchase of a watch before 31 May. Interestingly, when we spoke to Kronaby in March at Baselworld, CEO Pål Borge indicated the company was not only focusing on contactless payments through the strap, but also through the watch itself. There's no fixed date when we can expect a Kronaby hybrid to feature NFC capabilities under the hood, though Borge did tell us that such a move would have no impact on the thickness of the device. 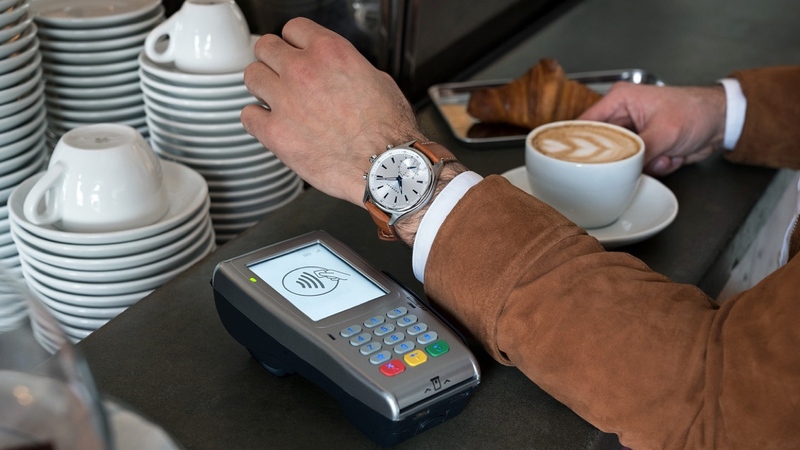 And as far as Barclays is concerned, Kronaby isn't the only watchmaker to recently partner with its wearable payment arm, with Guess, Suunto, Mondaine and Timex also preparing their own variations of watches with bPay technology embedded. We haven't seen all of these companies leverage the technology just yet, but expect to see the results of these partnerships come to light over the course of the next year. And don't rule out more jumping on the bPay bandwagon.